Submitted your votes yet, Swords? 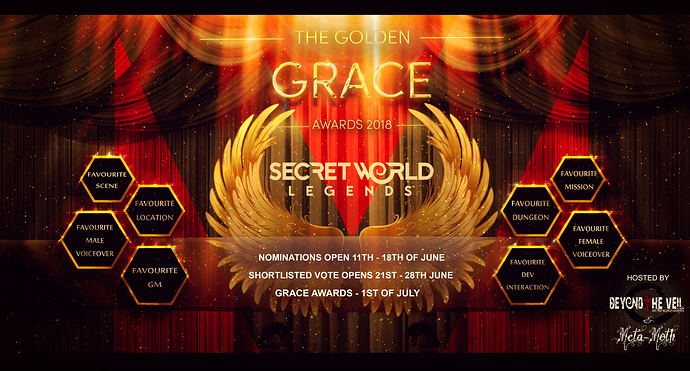 As part of the MEGAVersary events - The Golden GRACE Awards - The “Gift of Recognition & Acknowledgement in Creative Excellence”, and The Gatekeeper Awards are currently underway! I am extremely excited to see that the Nine Swords cabal, and one of our very own members - HolloPoint are up for nomination in the Gatekeeper awards. SWL is definitely about the community for our cabal - so get your voting button fingers ready!! The Secret Buzz - Issue #7 has been released today. It includes some of the scheduled events for our first ever massive community anniversary event for Secret World Legends MEGAVERSARY!! I am really excited that Nine Swords will be getting involved in the celebrations and has already been mucking in with the organisation and planning so far. Check out the latest issue of The Secret Buzz to find out more! 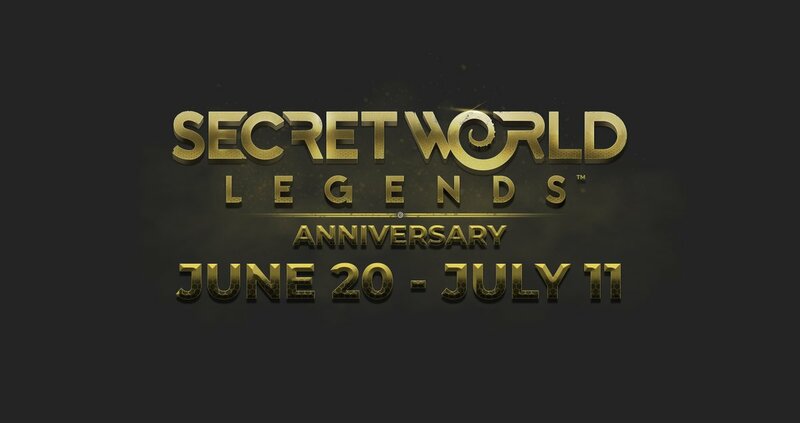 Secret World Legends' Anniversary spectacular - June 20 - July 11! 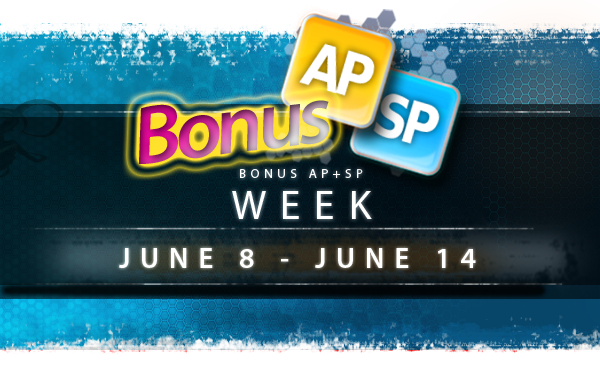 Bonus AP and SP begins June 8 at 9:00 AM EDT! and ends on the 14th June. Nirvelle, Lead Designer (SWL)has posted an update about what the team are currently working on including the anniversary, mission packs and future tech.